ST. GEORGE — The Utah Athletic Trainer Association recently held its winter business meeting at Southern Utah University. 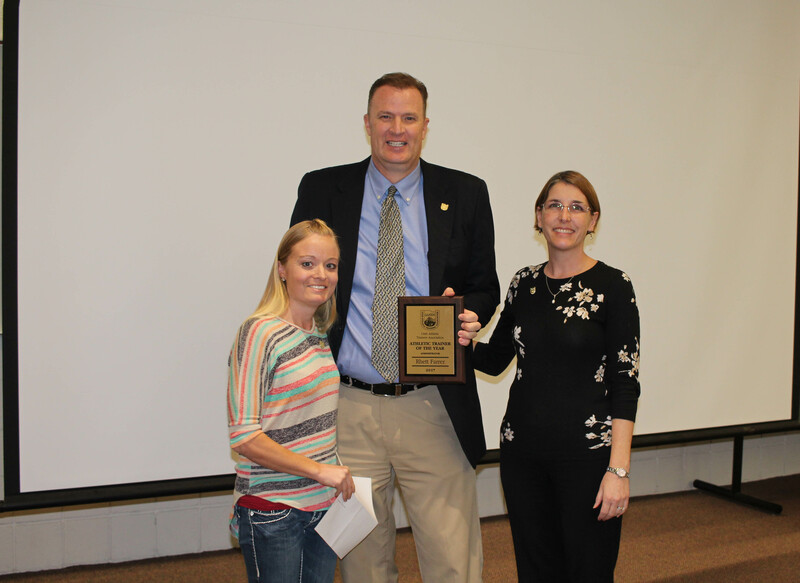 Nearly 100 athletic trainers from all over the state attended, and several Intermountain sports medicine trainers and leaders were recognized for their exceptional work in 2017. Rhett Farrer, Intermountain Sports Medicine Physical Therapist and Athletic Trainer, was named Utah’s 2017 Athletic Trainer and Administrator of the Year award. 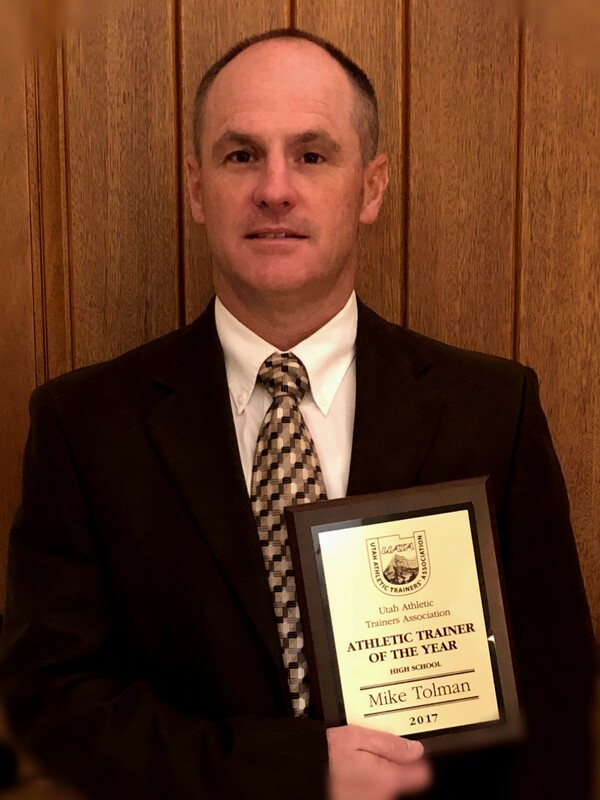 Mike Tolman, Intermountain Sports Medicine Athletic Trainer at Dixie High School, was awarded High School Athletic Trainer for 2017. Farrer is from St. George, married to Kimberly, and has three children. He started his career at Dixie Regional Medical Center in 1991, before coming to Cedar City Hospital in 2014 as the sports medicine manager. He leads a team of 25 athletic trainers in the southern Utah area for Intermountain Healthcare, which includes Iron County, Washington County, Dixie State University and Southern Utah University. Farrer played basketball for the College of Eastern Utah, before going to the University of Colorado, where he obtained his physical therapy degree. He finished his athletic training degree at the University of Utah. Farrer says he loves Southern Utah and taking care of the student athletes, both at the high school and university settings. That whole program seems like a big washington county school district insider racket. The high schools dont have speed and agility programs (at least the 2 I am familiar with) so you have to go and fork over hundreds of dollars to this “private” program so your kids can compete in their sports. The kids of the “insiders” dont have to pay. Legitimate high school athletic departments have speed and agility programs. One or 2 kids per year with D1 scholarships proves WCSD is a small timer with over inflated egos at every high school. The number of kids who have been brainwashed into thinking they are special athletes by their parents who are insiders, only to be slapped in the face with the reality of their mediocrity on natiional signing day, should be a wake up call to all of the local pretenders.